ST. GEORGE — The Dixie Flyers beat the North Sevier Wolves 57-43 in the weekend cap of the Red Rock Rumble Saturday night at Burns Arena. 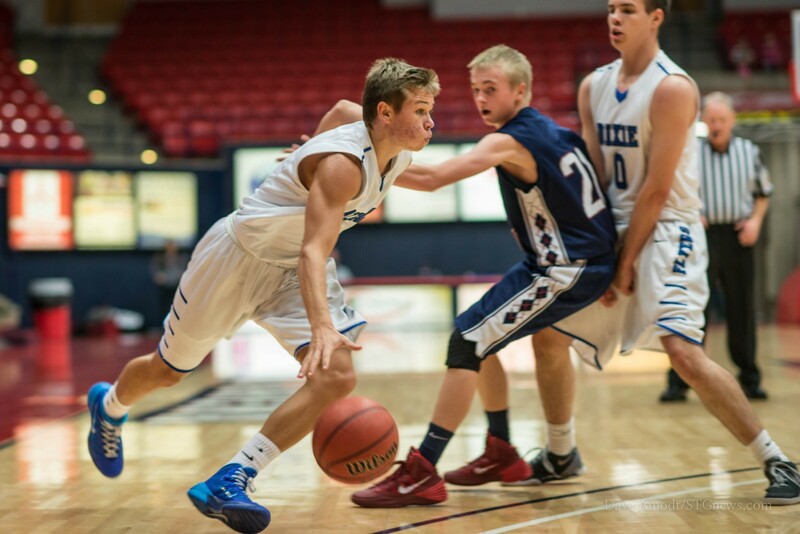 Overcoming fatigue, injuries and a 21-point shooting clinic from North Sevier’s Fisher Andersen, Dixie held off a late rally by the Wolves. A Sam Guymon 3-pointer helped the Flyers run away with the win late. The Flyers held a 14-point lead at half but watched as their lead dissipated to only five points with 7:42 left in the game. Andersen, who had 15 second-half points, helped his team fight its way back into the game, before Guymon’s trey woke the Flyers up and inspired a 19-10 finish in the final six minutes. With a more comfortable 12-point lead, the Flyers fought to finish out the game strong. The next several minutes were back-and-forth before Jake Hawes, who finished the night with a team-high 19 points, led a final 10-4 run with three minutes left in the game. Hawes, who was the beneficiary of some nifty passing, was able to get open for several easy buckets in the closing minutes to put the game out of reach. To begin the game, both teams appeared fatigued as only two points were scored in the first 2:30. After the lackluster start, DHS warmed up and ripped off a 9-0 run to close out the quarter. The Flyers’ last bucket of the quarter came when Hawes snatched the ball away from the Wolves’ guards on an impressive steal. Hawes then had a head-start at the basket, producing a highlight-worthy two-handed slam on the other end that put the Flyers up 13-4. After the Hawes dunk, game tempo picked up and the second quarter was a run-and-gun shootout, with the teams combining for 28 points in the second stanza. Later on, Hawes was able to beat the buzzer on a tip-in going into halftime to put the Flyers up 29-15. North Sevier came out of halftime with a 10-2 run to make things interesting. Dixie, who played its fifth game in four days, came away with the win despite fatigue that Cuff called a “definite factor” in the game. This weekend, injuries were also sustained to Tyler Bennett (head) and Guymon (ankle). 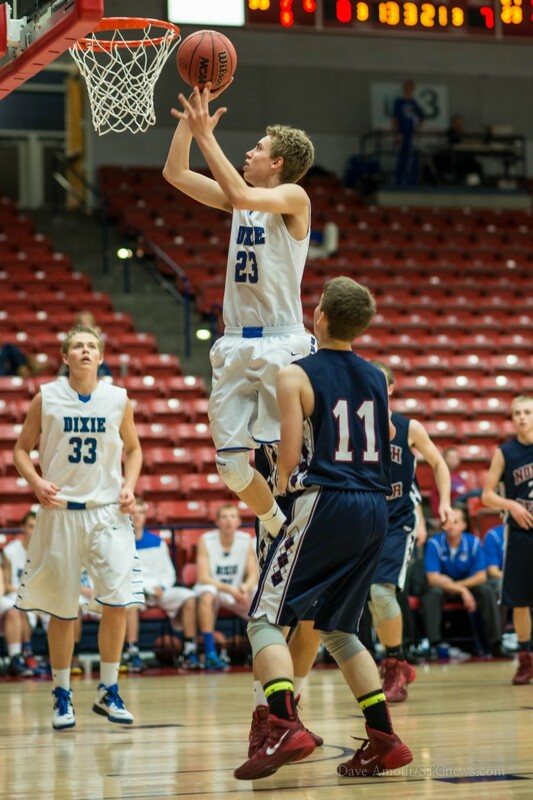 Dixie finished the Red Rock Rumble 3-1, beating North Sevier, Manti and Salem Hills and dropping Friday night’s game to Payson. The Flyers also lost a one-point thriller to Hurricane Wednesday night in region play. Dixie enters the Christmas break 7-3 overall and will prepare to play at Delta on Jan. 4.